When you’re serious about a home makeover then consider starting from the ground up because your flooring will dictate how the rest of your home is styled and coordinated. The Property Artists know all too well that today’s economy has home owners looking for ways to improve the value and comfort of their homes, without breaking the bank. In this article, we will demonstrate what’s to love about laminate flooring and why it’s so hot in flooring trends. When most people think of renovation projects that instantly give our homes a fresh new feel, they tend to think of painting first, followed by renewing the kitchen and bathroom(s), window dressings, and so on. However, the biggest improvement in both the home’s value AND appearance occurs when laminate flooring is used to replace old carpet, tiles, worn out wood floors and vinyl. And what’s really hot with laminate flooring at the moment is loose lay vinyl planks…bu whats so ‘hot’ about it? 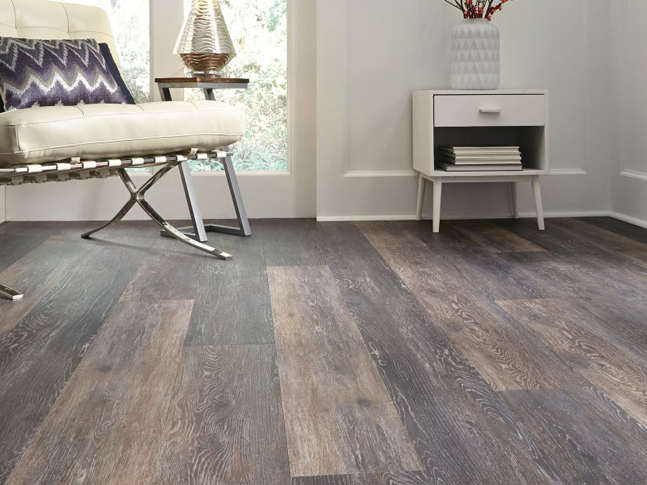 Well, laminate flooring has come a long way – but still today the term “laminate” is often treated negatively. It’s made up of several layers and at its core, high density sustainable fibre board is bound together with eco friendly melamine resin. A high resolution image of real wood is then laid on top and then on top of that, multiple layers of transparent melamine designed to resist wear and tear. But ultimately it’s the look! 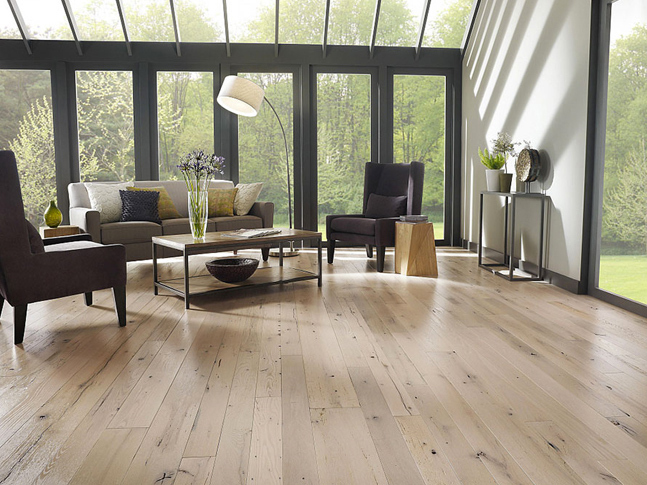 What we love about laminate flooring is its durability, relatively quick to install/replace and is available in a wide range of widths and styles that mimic real timber. Your pets won’t scratch the surface from walking across it, unlike wooden flooring, it doesn’t warp, bend or fade over time and it won’t stain or damage from household chemicals. If it somehow does become damaged, it is so easy to remove and replace the area slat by slat. COSTS: Laminate flooring is sold by the square meter and we can get prices on top quality products and styles for as low as $40/m2 ( of course you can also pay less for inferior quality products). So for an average 2 bdm apartment with around 60 square meters to cover the main living areas and bedrooms, thats a supply cost of just $2400. On top of that you will have whatever floor prep is required if any, and your flooring installation labour costs which for 60 square meters could range from $1,200 to $1,800…and more. So for around $4,000 you can totally transform and modernise your home. Now you can see why we think your flooring should be the start of your next home makeover or renovation project.